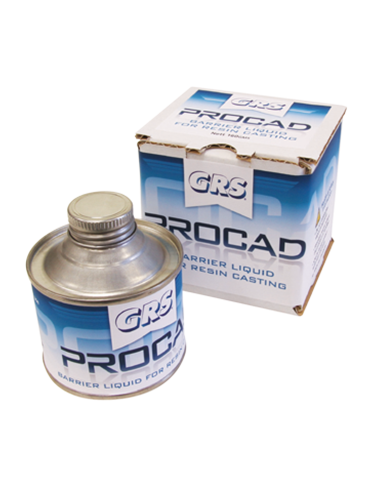 Procad has been developed, tested and approved for two applications when producing resin pieces or patterns from Cadcam Rapid Prototype printers. Resin pieces or patterns are produced to either manufacture rubber moulds using the resin pattern as master pieces or for producing trees to direct cast the resin patterns or pieces. For both of these applications we have been able use Procad to over come problems when producing rubber moulds or when direct casting the resin pieces or patterns. To overcome this the resin piece can be dipped in Procad between 5 to 10 times to avoid this. 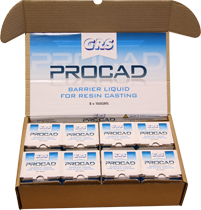 The amount of time a resin pieces can be dipped in Procad depends on the design and it is recommended to reduce the dipping if the piece is small, contains tiny holes, recesses for stone setting or is filigree in design.